Coupons must be printed for redemption. This coupon good for food items only. Coupon may not be combined with any other offer, special, coupon or discount. (LIMIT 2) Coupon may not be combined with any other offer, special, coupon or discount. 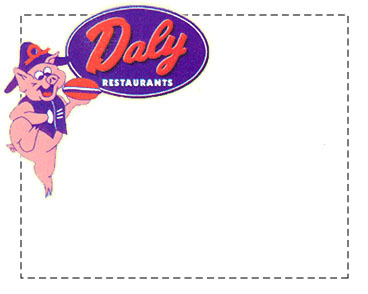 With purchase of Dalydog, Dalyburger, Sub or Sandwich. Coupon may not be combined with any other offer, special, coupon or discount.